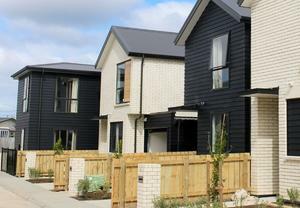 Despite AWS dominance, three main chasing cloud providers claw back ground in the market. 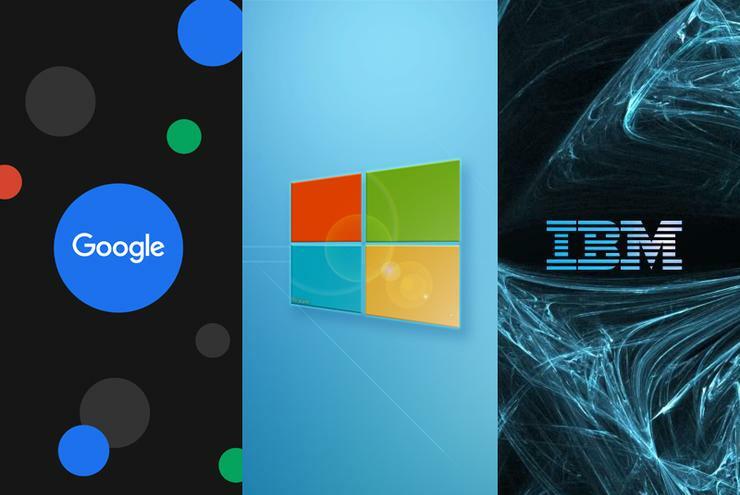 Microsoft, Google and IBM are gaining ground in the burgeoning public cloud services market, at the expense of smaller players across the industry. Despite the overwhelming dominance of Amazon Web Services (AWS) - in holding a majority of over 40 per cent - the three main chasing cloud providers are surging ahead also, new data from Synergy Research Group suggests. In aggregate the three have increased worldwide market share by almost five percentage points over the last year and together now account for 23 per cent of the total public Infrastructure-as-a-Service (IaaS) and Platform-as-a-Service (PaaS) market, helped by particularly strong growth at Microsoft and Google. “While a few cloud providers are growing at extraordinary rates, AWS continues to impress as a dominant market leader that has no intention of letting its crown slip,” Synergy Research Group chief analyst, John Dinsdale, said. “Achieving and maintaining a leadership position in this market takes huge ongoing investments in infrastructure, a continued expansion in the range of cloud services offered, strong credibility with the large enterprise sector, consistently strong execution, and the wholehearted and long-term backing of senior management. The next ten cloud providers in the ranking have slipped off the pace a little, though this group does include Alibaba and Oracle who continue to grow at “impressive rates”, according to findings. Further down the chain, there is then a very long tail of small-to-medium sized cloud service providers, whose collective market share has now dropped to just 18 per cent. With most of the major operators having now released earnings data for Q4, Dinsdale estimates that quarterly public cloud infrastructure service revenues (including both public IaaS and public PaaS) have now reached well over $US7 billion and continue to grow at almost 50 per cent per year. If managed private cloud services are included, quarterly cloud revenues are now more than $US9 billion. 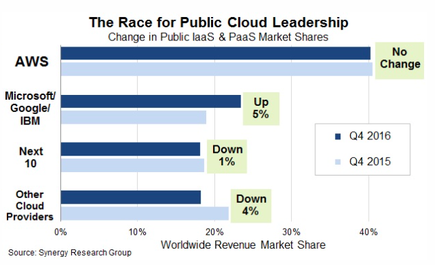 “The cloud providers and rankings are very different in the managed private cloud, where IBM continues to lead while Rackspace and traditional IT service providers feature more prominently than they do in public cloud,” Dinsdale added.